High Quality Content by WIKIPEDIA articles! 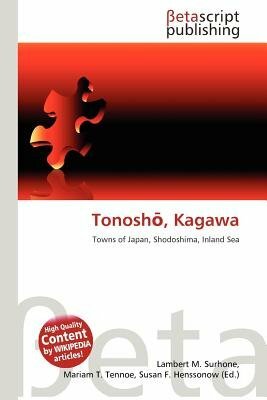 Tonosh is a town in Sh zu District, Kagawa, Japan. It is located on the island of Sh doshima in the Inland Sea. Small islands on the Inland Sea, including Teshima, belong to its administrative area. As of 2008, the town has an estimated population of 15,676 and a density of 211 persons per km . The total area is 74.38 km .The small island of Teshima had been used as a place to dump industrial waste, ignoring legal restrictions, since the early 1980s. The waste caused pollution and residents complained that it was public nuisance to the prefectural government, but the prefectural governor at that time ignored it. As a result of a prolonged activity, the mediation between the prefecture and residents was settled in 2000.